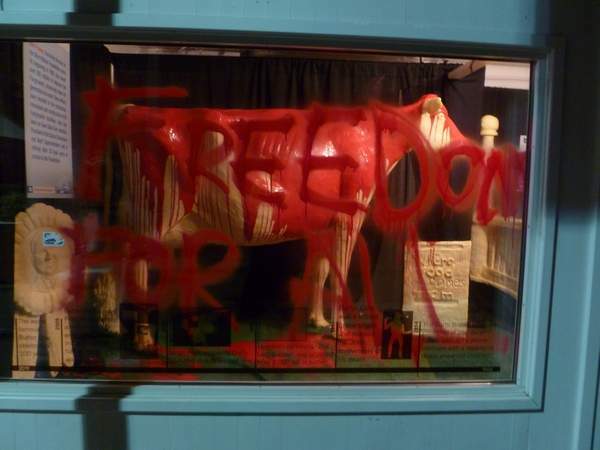 A group of criminal leftists doused the Iowa State Fair Butter Cow with red paint this weekend. The criminals hid in the Agriculture Building until it closed then poured fake blood all over the cow. The Butter Cow has been a popular attraction at the Iowa State Fair since 1911.